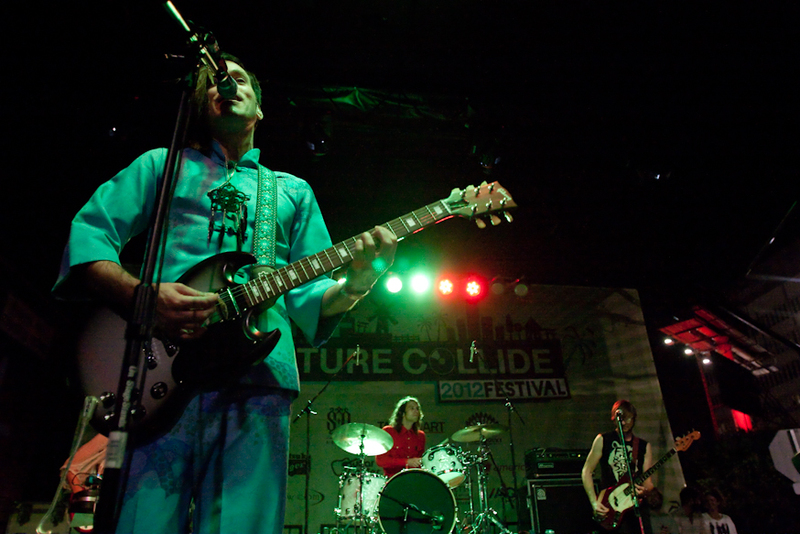 Psychedelic experimental rock band Of Montreal, has announced their 2017 Spring tour dates. The Georgia-natives are set to hit the road on April 4th in New Orleans, LA at The Howlin Wolf. The Band will travel across the U.S making stops in Austin, Los Angeles, Portland, Brooklyn and many more for a total of 25 tour dates. The road trip will end on April 29th in Charlotte, NC. Formed in 1996 by frontman Kevin Barnes, the band just about drops an album a year totaling in fifteen studio albums with a new upcoming release on March 31, Rune Husk. 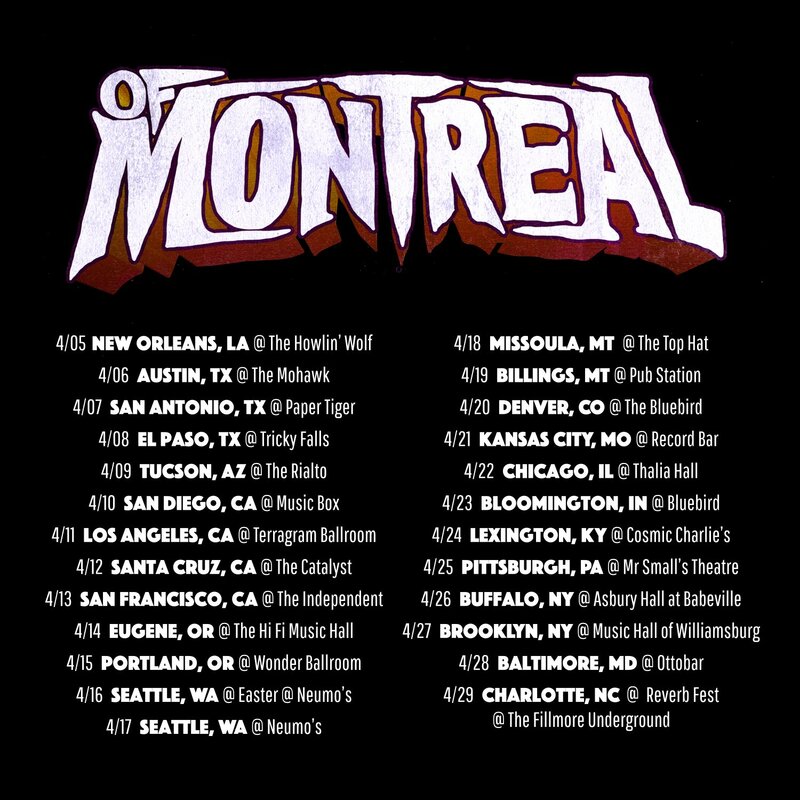 Throughout the tour several bands will be supporting Of Montreal, these band include Canadian indie pop band Royal Canoe, Wild Moccasins, Turquoise Jeep, Clones of the Queen & Sing the Body.